- Highway A14 Bologna - Bari, exit S. Benedetto del Tronto - Speedway Ascoli Mare exit Porta Cartara, to follow direction center. 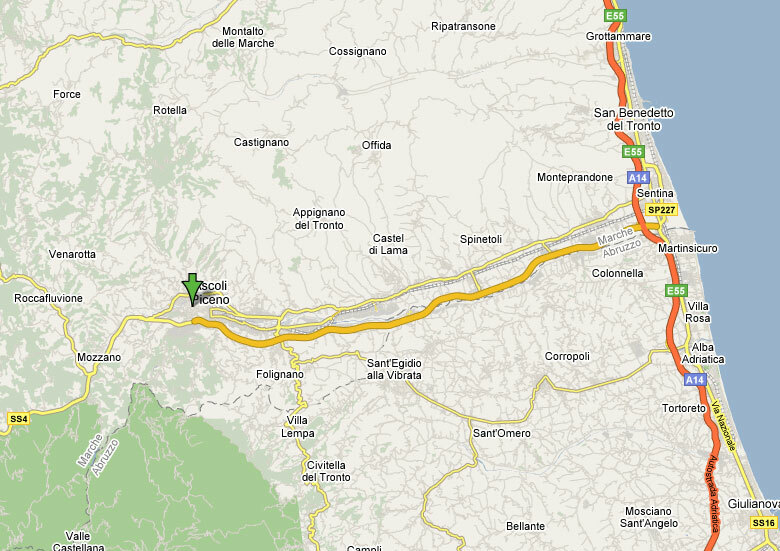 - SS 16 Bologna - Bari, exit Porto d'Ascoli - Speedway Ascoli Mare exit Porta Cartara, to follow direction center. 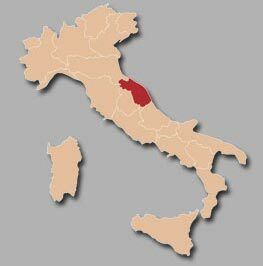 - SS 4 Salaria for the one who arrives from Rome. 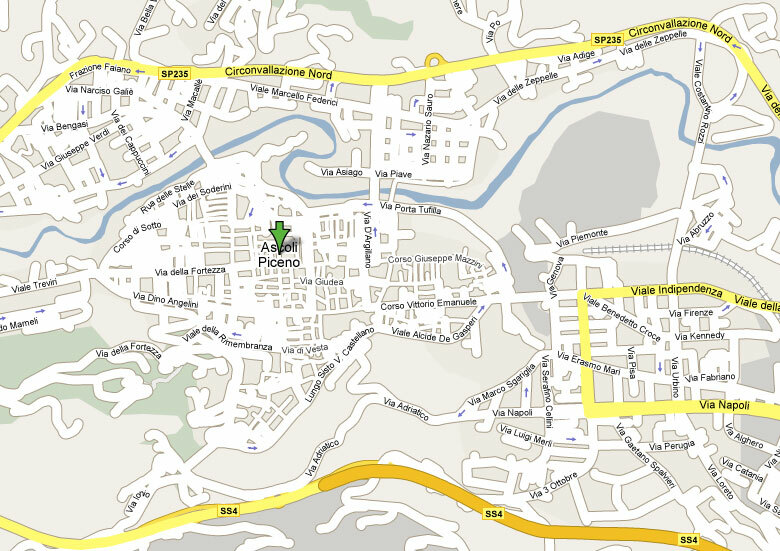 Ascoli Piceno is connected away Ancona with Rome and away Bologna with Milan. In airplane. Airport " Raffaello Sanzio" of Ancona – Falconara. The b&b is attainable in car and is connected from a bus to a parking lot (ex Gil) where is possible to leave the car to an daily cost of € 1,50.